Gene Perret, the comedy writer for such popular television shows as “All in the Family,” “Three’s Company,” and “The Carol Burnett Show,” once said of retirement, “It’s nice to get out of the rat race, but you have to get along with less cheese.” Almost everyone looks forward to that time when they can sleep as late as they want, spend their days traveling or playing golf, and opining about the state of civilization. But the responsibility for a comfortable retirement rests almost completely on the shoulders of the individual worker. Government programs like Social Security and Medicare provide a minimum level of income and healthcare costs to recipients as these benefits are intended to be supplemented with employer benefits and private savings. Having failed to save enough during their earning years or being victims of poor investment decisions, many seniors are discovering that the retirement they expected is beyond their reach. As a consequence, they are working longer, scaling back expenses, and forgoing some of their dreams. But fortunately, all is not lost, even for those whose retirement dreams seem dashed. Despite the travel industry’s advertisements showing seniors walking through the sand on exotic, foreign beaches or dancing the night away on a Caribbean cruise, fewer than one in five workers are “very” confident that they can retire comfortably, according to the 2014 Retirement Confidence Survey. Only one in four current retirees are “very” confident that they will have enough money to live comfortably throughout their retirement years. 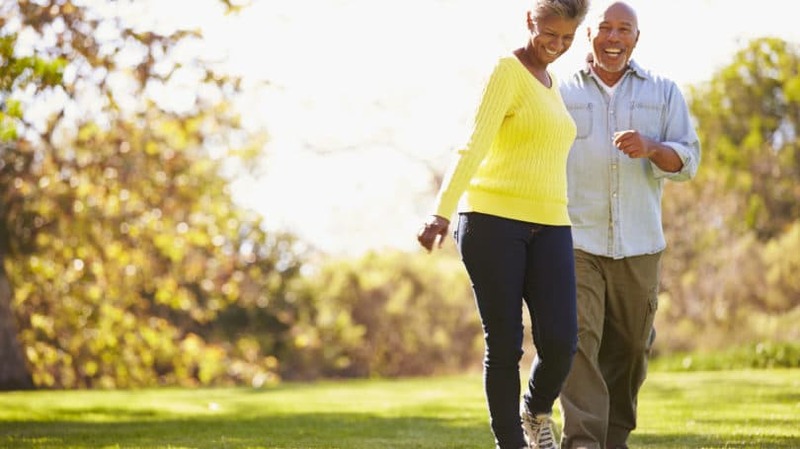 While the outlook for your retirement may be cloudy, there are steps you can take to improve your financial situation and happiness during your retirement years. Social Security Benefits. There are a number of withdrawal options available to Social Security beneficiaries that can impact your monthly benefit. If at all possible, avoid taking distributions before your normal retirement age (67 if you were born in or after 1960). Continuing to work until age 70 will allow you to defer and grow your benefit amount by 8% for each year of deferral. In addition, if you are married, there are a number of strategies regarding the spousal benefit that can mean thousands of dollars in additional income over your retirement years. Explore the Social Security Administration website for information and brochures that detail withdrawal options for individuals and spouses. Company Benefits. If you are covered by an employer’s defined benefit plan, consider which payment options will provide the greatest income to you over your projected life expectancy. Don’t forget to include your spouse and how he or she might be affected. If you have a defined contribution plan, such as a 401k, consider the composition of your investments to reflect your age and risk profile. As you near actual retirement, reduce your exposure to market volatility, and understand your withdrawal options and how they might affect your taxable income. Timing of income is everything once you are retired to minimize the tax bite. Personal Savings. 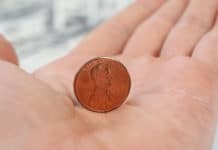 If you have traditional or Roth IRAs (or other tax-deferred plans) along with savings accounts, consider your investments as a whole, as if they were one portfolio. Make changes as necessary to better fit your investment objectives and risk profile. If you are invested in managed funds – such as mutual funds – consider the costs of commissions and management fees upon performance. Many investors are turning to low-cost exchange-traded funds (ETFs) in lieu of managed funds, as they can shave 1% or more off portfolio expenses. Whole Life Insurance Policies. If you have a fully paid or almost fully paid whole life insurance policy, consider borrowing against the cash value and investing the balance in a higher-earning account. The purpose of insurance is to provide security to your beneficiaries if you have a premature death. By the time you reach retirement age, most obligations such as a home purchase and college educations for kids have been fulfilled. Evaluate the option of using term insurance rather than whole life if you need insurance for estate liquidity. Reverse Mortgage. For seniors age 62 or older with equity in their homes, the reverse mortgage may be an advantageous way to free up equity locked in your home and stop the expense of making future house payments. This vehicle allows you to tap into built-up equity in your home without needing to sell. 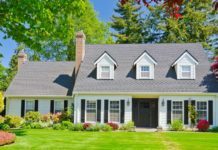 While the financial obligation remains to pay property taxes, keep home insurance in force, and keep the house properly maintained, homeowners keep the right to remain in their homes as long as they live. Living lean is a lifestyle choice that will pay benefits throughout your life. When young, excess income can be invested to build retirement security. Once retired, keeping control of expenses helps your income dollars go further. Buy Smart. Understand the difference between “wants” and “needs.” Before buying anything, take the time to consider whether and how the purchase will make your life more secure, easier, or happier. Take advantage of senior discounts for travel, meals, and restaurants. If you enjoy traveling, consider group tours, off-season visits, and house-swapping with organizations such as Home Exchange. Purchase a two- or three-year-old automobile, rather than a new one, and drive your car to 100,000 miles or more. Join a food co-op or a CSA to save money on groceries, join hotel travel clubs for room discounts, and consider buying resort and museum season passes that you are likely to use multiple times. Finally, buy experiences, rather than things. Photographs provoke memories as well as, if not better than, expensive knick-knacks that take up room and gather dust. Avoid Debt. Having debt requires paying interest – possibly as high as 21% annually on credit cards – for the privilege of borrowing while repayment is a claim on your future income. The money you use to repay the debt will not be available to cover other expenses. In addition, seniors are generally limited in future income increases, making their fixed income more vulnerable to inflation – this means that income will buy fewer services in each successive year. Being debt-free ensures that you have full control over your total income and where it is spent while avoiding the stress that usually accompanies borrowing. The combination of maximizing your income while minimizing your expenses reduces your need to draw down your investments to pay living expenses, thereby providing you with more security and peace of mind. Life is more than the food we eat, the home we live in, and the responsibilities we must meet. Feeling good about one’s self, laughing, being with other people, and engaging in activities we enjoy are critical to happiness and satisfaction. When you are retired, you have won the race, grabbed the golden ring, and wrestled the bear. You are entitled to be a little selfish and pamper yourself, whether it is sleeping an extra hour or avoiding that dinner party with people whom you have nothing in common. Ask yourself, “What would I do if I had to please no one but myself? Develop and indulge a sense of humor. An old cowboy supposedly said, “We all get to the barn someday. Some people just have more fun getting there than others.” Be less judgmental, particularly of yourself. Try to be open to happiness and laughter. Don’t wait for joy to find you – seek it out. Many people find themselves wholly dependent on Social Security retirement benefits, but are happy people nevertheless. If your vision of retirement is traveling around the world – but you lack the financial wherewithal to go to exotic places – seek the experience through books, films, and lectures. If you enjoy gourmet meals but cannot afford to go to the best restaurants, learn to cook and start a home dining club with others who have the same interest. Buy a pet. Start a new hobby. Give your time to others in greater need than yourself. Volunteer your time to make new friends, stay mentally alert and physically active, add years to your life, and feel important and satisfied. Remember that a comfortable retirement is not a matter of financial worth, but your own sense of self-worth. According to Dr. Robert Waldinger, a psychiatrist at Massachusetts General Hospital in Waltham, Massachusetts, “Exercise is the number one ticket item to have for ensuring, a long, happy life. It protects your heart and prevents disability later in life.” Many of aging’s pitfalls can be avoided or delayed by a combination of healthy eating and exercise. You are less likely to have a heart attack or a stroke if you lower your blood pressure, cholesterol, and weight. Exercise even helps delay cognitive deterioration, a common malady as we age. You do not have to be a workout junkie and spend hours at the gym on the treadmill or lifting weights. Studies have shown that 10 minutes of walking three times a day is almost as beneficial as an intense 30-minute workout. Dan Buettner, a “New York Times” bestselling author, National Geographic Fellow, and partner of the American Association of Retired Persons, claimed in a 2009 TED Talk that the healthiest inhabitants on earth are shepherds in Sardinia, Italy. Their secret: Walking five miles a day over hillsides. That is a pace equivalent to a 96-minute mile, much slower than the average person’s strolling pace. Bishop Desmond Tutu called the family “God’s gift to you, as you are to them,” while philosopher George Santayana claimed the family was “one of nature’s masterpieces.” Your relationship with your family often determines the degree of satisfaction and happiness in your life. A 2013 study by Merrill Lynch Wealth Management with Age Wave found that more than half of people over the age of 50 have grandchildren, having an average of five grandchildren each. 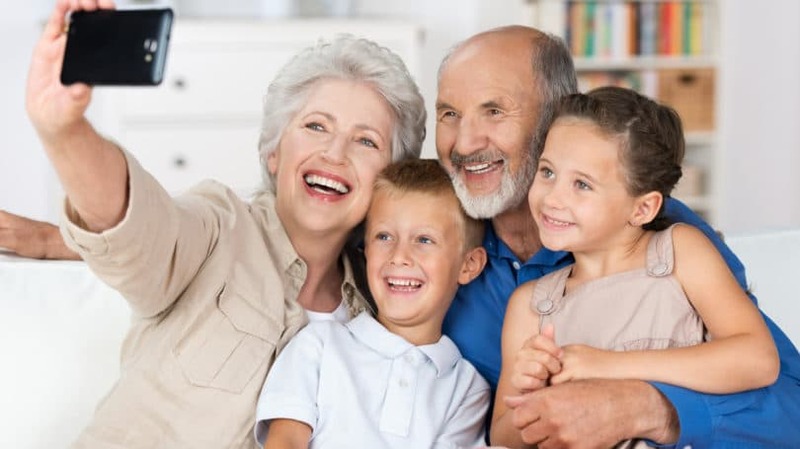 Since “having fun together” (grandparent and grandchild) and “teaching and passing on family values” were rated as the top two indicators of being good grandparents, the free time that accompanies retirement is critical to the degree of happiness arising from the relationship. While harmonious, loving familial relations are a key to personal happiness, senior family members – especially those in tenuous financial condition – should avoid becoming the financial bank for the family. The same 2013 study found that 6 in 10 people aged 50 and older provide financial support to family members, either on a one-time basis or ongoing. Furthermore, the assistance is often provided without expectation of being repaid. Those people who have less than $250,000 in investable assets average $9,200 in total financial support to family. While such support may be commendable, the expenditure can negatively affect the senior’s sense of financial security and increase stress between family members. Furthermore, becoming a burden upon one’s family is one of a senior’s greatest fears. Gifting assets or cash that will be needed down the road is a short-sighted (and often ineffective) strategy for building stronger family relations. One of the myths of life is that everything works out for the best in the end. The truth of the matter is that each person reaps what he or she sows. If you are a spendthrift or gambler and fail to save for retirement, it is likely you will have financial problems when you retire. If you smoke, drink to excess, and have been a persistent couch potato throughout your life, you are more likely to experience health problems than those seniors who have tried to live healthy. If you have been selfish, self-centered, and intolerant, you are likely to find yourself lonely in your retirement years, even if you are financially secure. That is reality. But reality is also that it is never too late to change your habits and manners, or make up for mistakes. Perret is correct: Even if you have to get by with less “cheese,” the freedom to do what you want, when you want is a gift that few humans experience. In an ideal world, all people would build large retirement fund balances – but most of us do not. What additional tips would you suggest for a comfortable retirement?